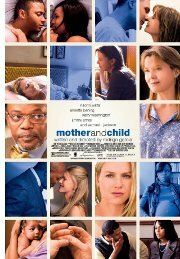 This female-interest movie takes a look at three very different women, and how they relate to the issues of motherhood. These range from a women struggling to come to terms with her mother's death, a lawyer who sleeps with her boss, and an infertile woman trying to adopt the baby of a pregnant teenager. Comments Complex mature and disturbing themes surround adoption in this movie.